Ask any Kashmiri, and it is clear that the culture is very focused on food. While its consumption is approached with much fanfare and relish, the production of food is treated with a high degree of respect. Recipes from traditional Kashmiri cuisine, referred to as Wazwan, is a closely guarded secret passed along in a guild like environment, which is why you rarely find Kashmiri restaurants outside the valley. 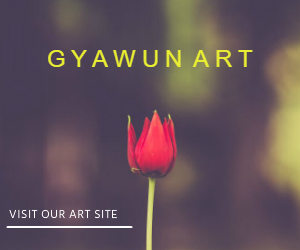 Today, Gyawun speaks to Nasir Andrabi, who has disrupted this environment. His restaurant, Khyen Chyen, translated from Kashmiri as “to eat and drink”, is a growing venture in Delhi. Nasir tells us about his journey from a foodie to a restaurateur, on what makes him happy and looking at setbacks as opportunities. My name is Nasir Andrabi and I am from Baghat in Srinagar. A graduate of Tyndale Biscoe, I pursued undergraduate studies at Symbiosis in Pune and received an MBA from Cardiff Business School UK. I started my career as a private banker and worked with marquee multinational banks across the UK, Singapore and the United Arab Emirates. My personal interest, however, lies in restaurants and the real estate sector. Did you have any previous restaurant industry experience before Khyen Chyen? The only experience I have had prior to Khyen Chyen was eating a lot of food at various places. What is Khyen Chyen? What inspired you to open up Khyen Chyen? Khyen Chyen is the Kashmiri version of Khaana Peena- to eat and to drink. After eating out in many countries, I realised that I could never find my favourite Wazwaan anywhere. Although some people know about this fantastic cuisine but the difficulty to get this outside Kashmir has resulted in low awareness of this food. This struck a chord with me and I had always wanted to do something for my homeland. What better way than feeding people. This idea gave birth to Khyen Chyen. My job took me to various places and throughout my career, I have been attracted to various cuisines across the globe. Whenever I travelled, I always enjoyed exploring different food. Despite this, one thing that always kept coming back to my mind when I would dine at different places was that “Wazwan is the best”, as all Kashmiris say. I missed it terribly. 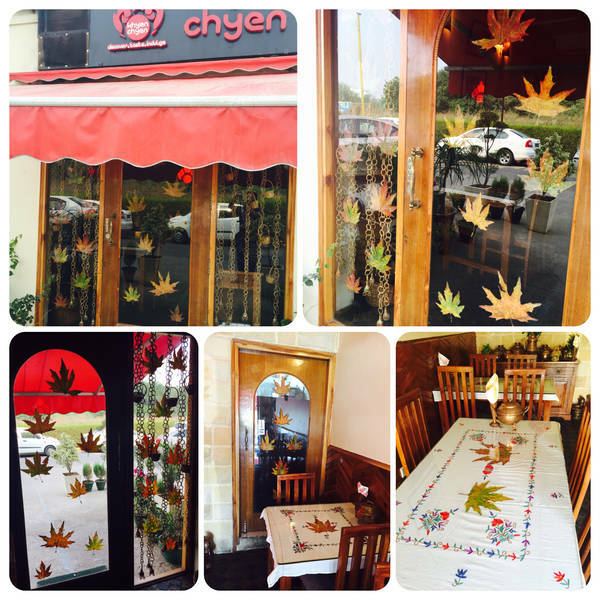 How and when did you open Khyen Chyen? Khyen Chyen is a dream to take Kashmiri food to the world- the traditional way. 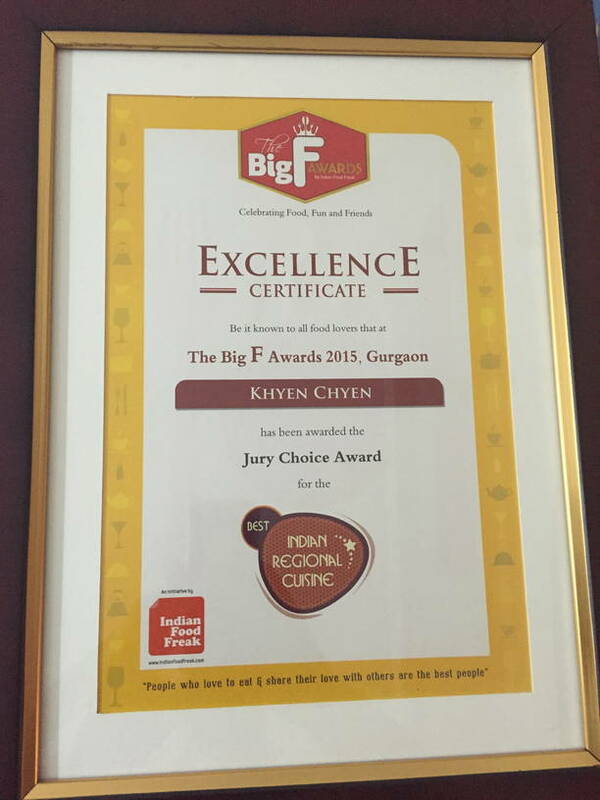 This led to the birth of Khyen Chyen in February 2015, when we launched our first outlet in Gurgaon, India. What drives you in running your restaurant every single day? It is the love for Kashmir and Kashmiri traditions. Khyen Chyen gives me the opportunity to keep our traditions alive outside the valley and showcase them to the rest of the world. 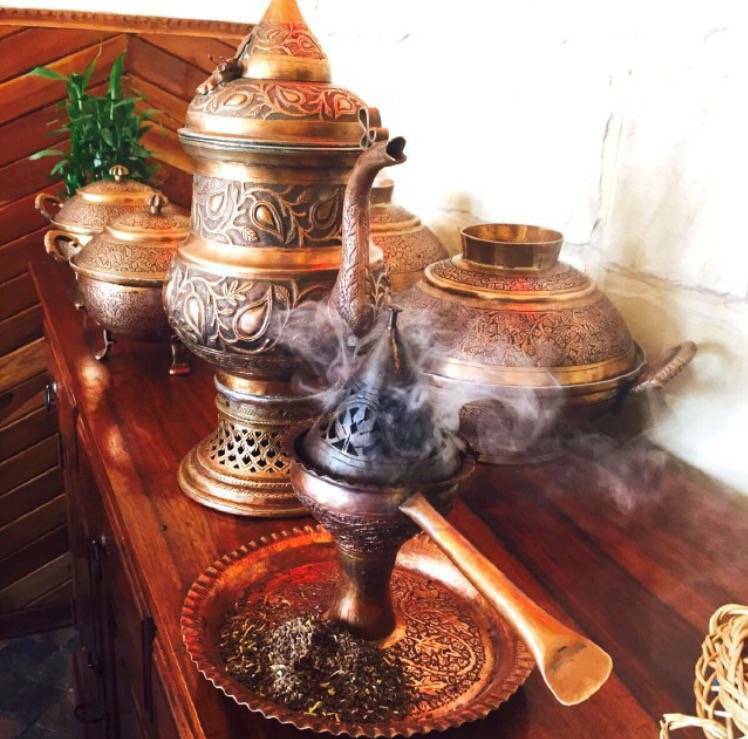 The usage of Tash and Naer (a portable basin used for washing hands), the burning of Isband (traditional Kashmiri incense), serving Trami (a 4 person plate used to serve Wazwan) to various people from diver nationalities and communities… this makes me really happy. Especially when people thank me for for serving them our outstanding kaanti (lamb with onion and chillies), ristas (spongy lamb meatballs in saffron gravy) and gushtabas (lamb meatballs in yogurt gravy). Of course we have to ask, what is your favorite thing on your menu? Nothing beats my favourite, Tabakh Maaz (crispy lamb ribs)……. Their are other Kashmiri restaurants around, what differentiates your offering? Khyen Chyen does not innovate on traditional preparations. So no fusion food for us. 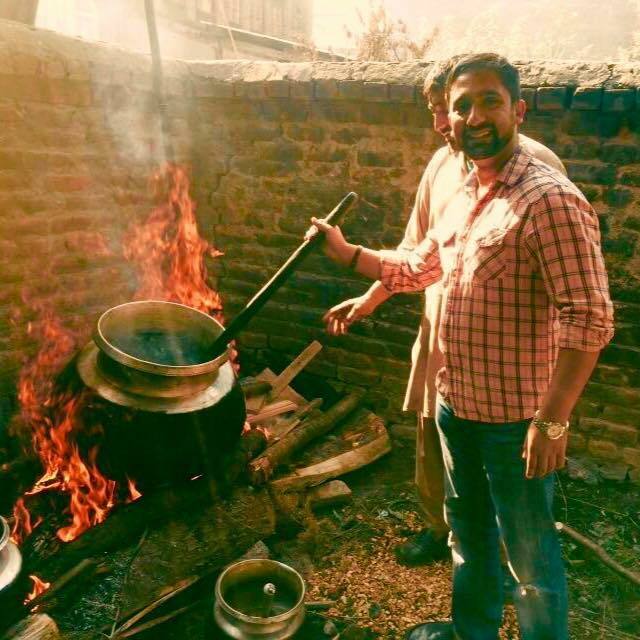 We stick to how Kashmiris used to cook and how we have been eating for many generations. We use authentic ingredients only and we serve the food in the traditional way. This brings Khyen Chyen closest to its roots. We are the only restaurant that has Wazwaan, home cooked dishes and Kashmiri street food on the menu. Who are the people involved in Khyen Chyen? Mainly it is the Wosta’s, service team, restaurant manager,utility boys, delivery boys & my lovely wife Tabish Andrabi. (She is actually the strength & force behind Khyen Chyen’s success). How is the response you have got till date? Mashallah, we are growing with each passing day. 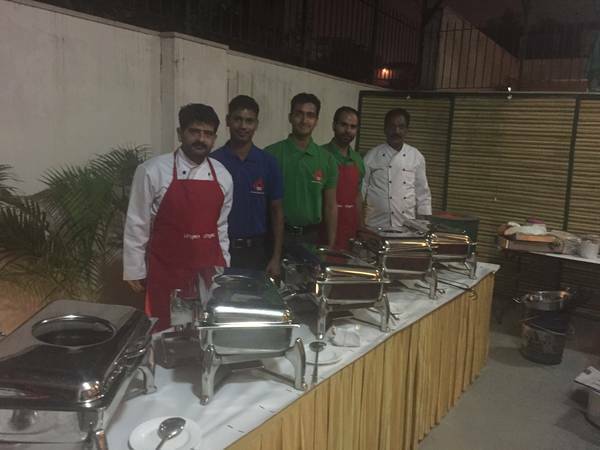 We have expanded from a 12 seater outlet to 40 seater full restaurant in less than a year. Inshallah, we will open more outlets across India and maybe even internationally soon. 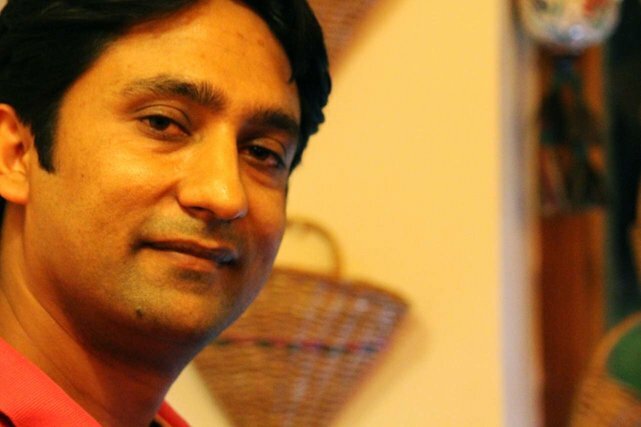 What are some of the challenges of being a Kashmiri restaurant owner ? Honestly? None. In fact being a Kashmiri has only helped me to grow and expand my business. People compliment us for bringing Kashmiri food to them. Preparing of Wazwaan is not easy so it is appreciated by many guests. Nothing comes easy in life, but we have to accept challenges and use them to our benefit. What has been your greatest professional success and biggest setback? I am glad that I have been successful in doing something that brings more and more people closer to Kashmiri’s and our culture. I am happy that I can provide employment to some Kashmiris and give them an opportunity to grow. My biggest success so far is the love and affection Khyen Chyen gets from everyone. I never look at anything as a setback. Every moment, every situation is a stepping stone for something bigger and better. We just have to realise how to maximize it. What are your plans for Khyen Chyen in coming years? 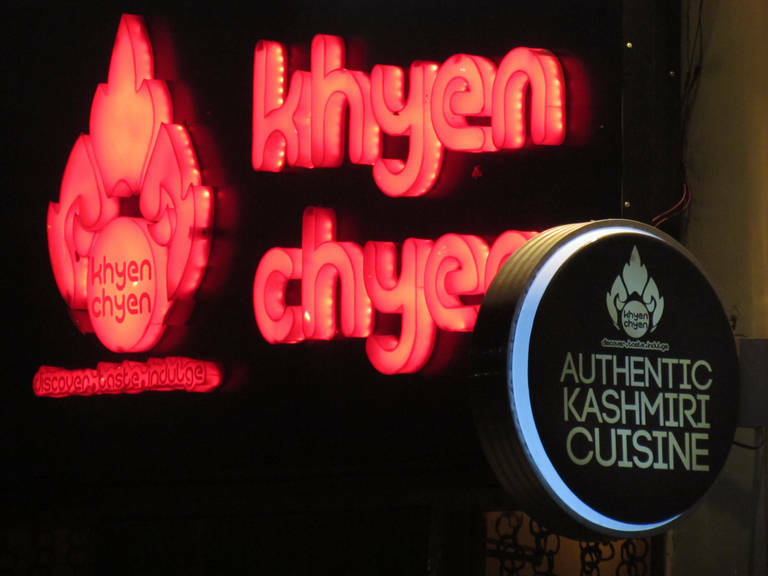 Inshallah we plan to open Khyen Chyen in many cities, including Srinagar, in the future. We will be expanding our restaurants internationally as well. What advice do you have for young people starting out in the restaurant industry? Focus on your values. Quality. Honesty. Dedication. Good attitude. All these attributes are key ingredients for success. The restaurant and food industry is a business driven by passion. If you don’t love it, you won’t enjoy it. Kashmir needs places where families can dine out and create memories. Plan your cuisine and follow it up with great execution.